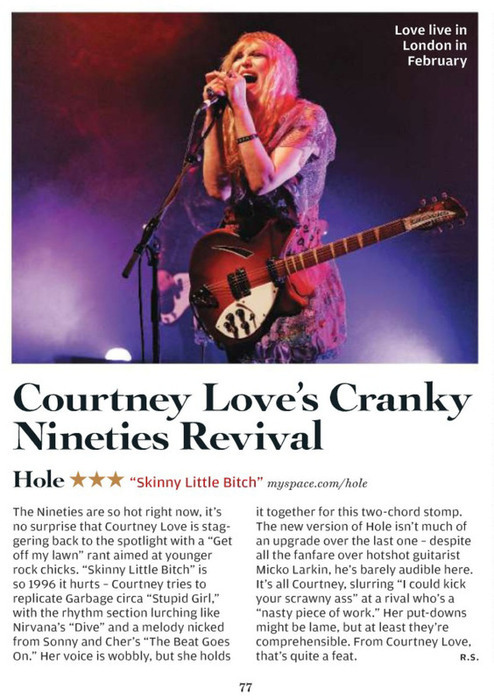 I know I’m late to this party, but David Malitz of the Washington Post had a pretty amazing review of Courtney Love’s show there. It’s quite a read, with lines like: “Of the nearly 30 songs (or song fragments), not even a handful were completed without some minor disaster.” And: “She played a new song, “Pretty Your Whole Life.” It was bad. Half an hour later, she played it again. It was worse.” [The above is a fan video of the show I found here.] The review is kind of beautiful in the way it clinically describes this meltdown. It’s devastating but — incredibly — not mean. So much like Miley Cyrus's 'Can't Be Tamed' Outfit, Right? Are black feathers quintessentially 2010? 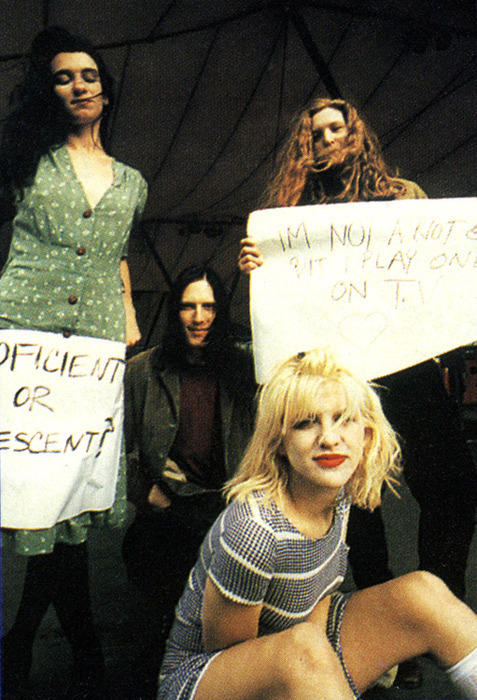 These and many other Courtney Love quotes on VH1. We’ve talked a bunch about our mixed feelings about her, and the clips I’ve seen so far don’t sway me one way or the other. She just seems super damaged to the point of scariness — sometimes in a wow! way and sometimes in an eek, run! way. A while back, a reader asked if Winona was ’80s or ’90s. I think this infographic leaves little doubt.